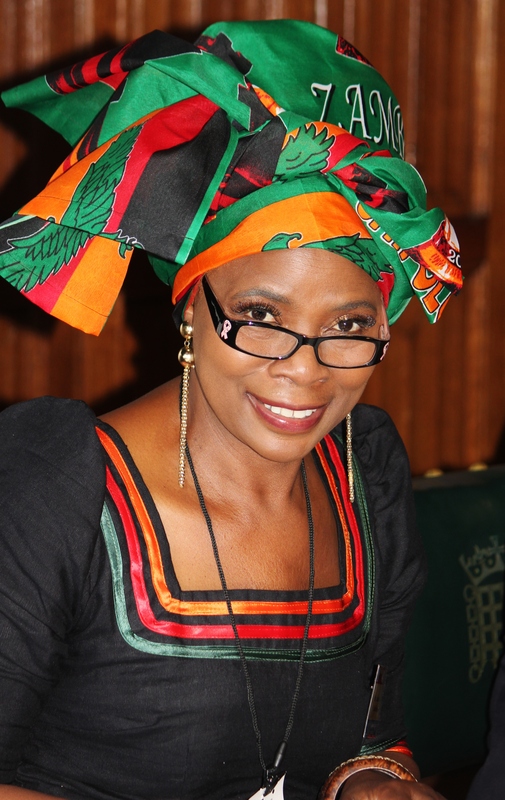 London, 22 August 2014: Justina Mutale will today be part of a Panel Discussion on PRESS TV’S Africa Today Programme, which takes an analytical review of political, economic and social events in Africa. The Programme, to be aired next week, throws the spotlight on the African Diaspora as a resource for development. The Panel will mainly consider the idea that the African Diaspora may be Africa’s greatest human resource, and will look at (amongst other things) the strength of the African Diaspora when it comes to assisting communities in Africa, as well as the kind of perceptions Africans on the Continent have of their brothers and sisters in the Diaspora. “Africa needs to tap into the potential, capacity and resources of its Diaspora to bridge the gap and to reverse brain drain into brain gain and brain circulation by capitalizing on the intellectual, cultural, financial, human and social capital of their Diaspora to change the Continent’s mindset and its fortunes. There is a large population of Africans in the Diaspora, each with the intellectual, cultural, financial, human and social capital which arms them with the capacity and resources necessary for Africa to compete on a global scale. Harnessing and channeling some of these potentials towards the relevant social, political and economic development of Africa can alleviate some of the problems faced by the continent”, said Justina Mutale, in an interview with the Post Newspaper of Zambia, last year on 20th October 2013. As has been observed lately, times are changing where the role of Africa’s Diaspora is more focused due to better worldwide access to communication and urgent need on the homeland. On 4th August 2014, in the wake of the Africa-US Leaders Summit, the first-ever African Diaspora Bridge Builders Awards was held. Filled with dignitaries, the Awards were given to those leaders who helped strengthen economic development and relationships that make it possible for the African Diaspora family to contribute to the development of their homelands. Taking into consideration that many of Africa’s Independence leaders including Kwame Nkrumah, Marcus Garvey, and W.E.B. DuBois gained their education and launched their political campaigns whilst in the Diaspora, the Panel will look at the implications and what the current legacy of those strong Diaspora links might be. Viewers are invited to contribute to the Discussion via Facebook by providing their views, opinions or thoughts on issues such as: Is the brain drain still a big factor? How strong are the bridges? What do you think? If you live outside of Africa, do you feel a connection as part of Africa’s Diaspora? And if you live in Africa, do you see Africans in the Diaspora as a source of assistance, or perhaps envy? Other Panelists will include Onyekachi Wambu, Director of Engagement & Policy at Africa Foundation for Development (AFFORD), who will be in the studio with Justina Mutale. Depending on satellite connections, an international guest will be either Her Excellency, Dr. Erieka Bennett, Head of Mission at the African Union endorsed Diaspora African Forum (AUDAF), who will be speaking to us from Ghana, or Ismail Einashe a Somali born British writer, who would be speaking from Somaliland.